Whilst face to face counselling is currently the most popular and conventional medium of treatment, there are a huge number of factors that may mean receiving counselling by way of another communication channel could be a more appropriate option for you. Email counselling is a form of online counselling that allows you to work with me via an email exchange. The process involves you typing you problems and concerns in an email, and me taking the time to read the email before replying with a considered therapeutic response. Writing down whatever it is that may be clouding our minds can be an extremely effective way of processing negative emotions. 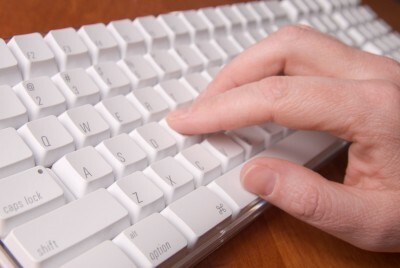 Putting pen to paper, or in this case, hand to keyboard – is an ideal way for individuals who do not feel comfortable speaking about their problems to express themselves. Just knowing that there is someone there to receive, acknowledge and respond to your problems without judgement can provide an enormous sense of comfort and support to anyone attempting to overcome a difficult period in their life. How does email counselling work? As mentioned above, email counselling will revolve around a series of email exchanges between me and you. However, before the therapy itself commences we will need to clarify details such as your reason for seeking counselling, how many times you are able to email me, time frame in which you can expect to receive a response, privacy and confidentially, cancellation policy. If you are unsure as to whether email counselling is a suitable option for you, the best thing to do is to get in touch with me to discuss your concerns. Initiating contact does not mean you are obligated to proceed. This form of counselling is carried out at a pre-arranged time using an instant chat messenger or SKYPE, allowing you to receive an instant ‘real time’ response. Similarly to that of email counselling, online chat counselling is often more accessible and convenient than that of face to face counselling, and it also gives the client the option of remaining anonymous. How does online chat counselling work? If you have decided that online chat counselling is an avenue you would like to explore, get in touch with me to arrange a mutually convenient time for you to “meet” online. At the designated time slot I and you will both log on to a chat room (which will be secure and confidential), so that we can exchange instant messages for the agreed length of the session. Here we will also need to clarify details such as your reason for seeking counselling, how many sessions we will have, privacy and confidentially, cancellation policy. Here I work from a quiet and comfortable room within a walking distance from the London Bridge and Borough tube stations. Here I work from quiet rooms within The Psychosynthesis Centre, which is located only 5 min walk from London Bridge train and tube stations. Contact Me Any messages left will be strictly confidential and only I will be able to read them.